Cinnamon and Honey for Hearing Loss - Fact or Fiction? The Hearing Loss Pill is a treatment option designed for those who seek healthier hearing and who are interested in optimizing their existing hearing ability. While the pill is not able to re-create damaged hair cells, it is designed to improve the performance of the nerves within the ear that are still functional. The combination of ingredients targets the nerves within the ear to provide protection against extreme noise damage and also affects the nerves within the brain, optimizing the process for registering sound information. Not only does the Hearing Loss Pill optimize the cells for receiving sound, but it also guards against the free radicals that can cause further damage. Free radicals are released into the blood stream when the ear is exposed to extreme noise, and it's these radicals that attack the hair cells within the ears and cause potential hearing damage. 1 In addition to optimizing the process for registering sound and guarding against free radicals, there are a number of compounds included in the Hearing Loss Pill formula which are known to be essential to proper hearing function. These compounds are another integral component to The Hearing Loss Pill. The science behind the Hearing Loss Pill is far more advanced than the holistic approach of consuming cinnamon and honey as a hearing loss treatment option. The ingredients within the pill are specially formulated to work in conjunction with each other to improve and protect the ear's ability to hear. While Cinnamon and Honey are known to have healing properties, individuals should not rely solely on this mixture as a means to alleviate hearing damage and protect against further deterioration. Individuals will be hard-pressed to find authoritative resources backing the use of cinnamon and honey as a viable means for improving hearing loss. While the "miracle mixture" is said to be tied to healing ailments ranging from influenza to bladder infections to cancer, the efficacy of these claims is lacking. The basis for this theory stems from the high sulfuric base of the mixture: with a combined sulfur percentage of 59% these ingredients are thought to be extremely effective to the body's system. While cinnamon is known to be high in antioxidants, and therefore provides a number of health benefits, and raw honey contains anti-bacterial properties, the claim that the combo cures most diseases is bold and should be taken with a grain of salt (or cinnamon?). Something that individuals should consider when increasing their daily intake of cinnamon is that long-term over-consumption can result in liver damage. Individuals looking to treat hearing impairment should consider all available treatment options. For those seeking treatment for more benign cases of Sensorineural Hearing Loss, check out our homepage for further information about the Hearing Loss Pill. 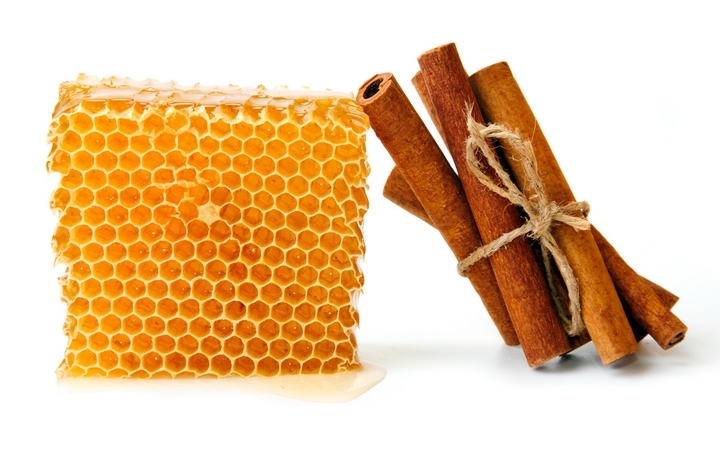 Q: Can a combination of cinnamon and honey cure hearing loss? A: No. There has been no conclusive evidence that ingesting a mixture of cinnamon and honey will improve or cure existing hearing impairment. Individuals with hearing damage should consult a medical professional to determine the best available treatment option. Q: If I take cinnamon and honey in conjunction with The Hearing Loss Pill, will it increase its effectiveness? A: Not necessarily. The Hearing Loss Pill team has not tested this theory and makes no claims to the efficacy of the pill when taken with alternative, holistic approaches. Q: Does The Hearing Loss Pill offer a money-back guarantee? A: Yes, if you're not satisfied with the results from the Hearing Loss Pill, we offer a no-hassle, 60 day money back guarantee. For additional information view our full list of Frequently Asked Questions.